Samchase Nigeria Limited, which is based in Akure, the Ondo State capital. 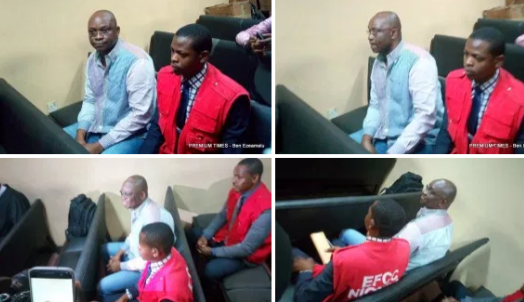 While being led in evidence by the prosecuting counsel for the Economic and Financial Crimes Commission, Mr Rotimi Jacobs (SAN), Mechleb told the court that he had done various jobs for both the Federal Government and some states, including Ekiti State. The Lebanese had been asked by Jacobs if knew of a company, JJ Technical Services Limited, to which he replied that the firm belongs to his younger brother and brother-in-law, Maroun Mechleb and Joseph Mechleb, respectively. Mechleb said he collected the firm’s documents and gave to Agbele to find job for it, but Agbele did not. The Lebanese said at a time Agbele approached him and asked if he had a company which could be used to get a contract. He said he then nominated JJ Technical Services Limited. The Lebanese said Agbele later bought a property in the name of JJ Technical Services Limited and brought the deed of assignment for him to sign. Mechleb said he signed the document not knowing that it was in respect of a property. 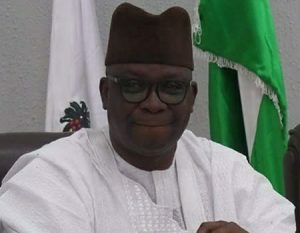 The Lebanese said Agbele instructed him to tell the EFCC that he own the property, which he said he told the EFCC while dictating his statement on July 28, 2016. He said when he left the interrogation room, he told his lawyer who was with him that what he told the EFCC was not the truth, rather it was what Agbele instructed him to tell the anti-graft agency. “As a Christian, if you are told not to say the truth, you will not say the truth?” Ojo asked. Earlier, Goshen Joseph and Joseph Mechleb, who testified as PW8 and PW9, respectively, had denied knowledge of the property bought in the name of their company.